Many Americans today are considering a mortgage refinance as interest rates continue to be very low. Rates did edge up in 2017 before dropping again, so the buzz for home refinancing has re-surged. In August, 30-year fixed FHA loans were available for well under 4%, According to Freddie Mac’s weekly survey. With such low interest rates, it is not a surprise that many home owners are weighing the pros and cons of doing a mortgage refinance transaction this year. Compare and Review Mortgage Refinance Loans Today with a Free Loan Analysis from Competitive Lenders, Credit Unions and Banks. Should you be one of them? Read our mortgage refinance guide below to decide. A mortgage refinance is when you replace your current mortgage with a new one. It will pay off your current mortgage and replace it with a new mortgage. This means you usually are switching to a different rate and plan of payment. You may be with an entirely new lender too. If done properly, a mortgage refinance program can lead to lower payments and interest over time. How easy it is to refinance your mortgage depends upon your finances. If your credit has taken a hit, you have a chance of getting a higher rate. Refinancing always involves paperwork, and can involve more red tape than when you got your first loan. 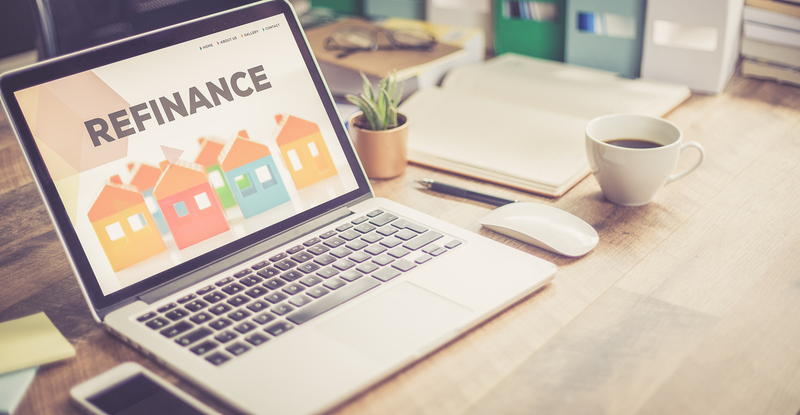 If you want to pull out some of your equity when you secure a refinance mortgage loan, you will definitely have to prove you have the credit and income to afford the new payment. Before you do a mortgage refinance, really look at your costs, risks and fees. Is It a Good Time to Consider a Mortgage Refinance? Lower rates – interest rates for mortgage refinance loans may have dropped since you took out your first mortgage. Lower monthly payments – saving $100, $200 or even more on your monthly payment not only makes your life easier; it saves you big on interest over the years. Tapping equity – as home are increasing in value in 2018 in many areas, more people opt for pulling out equity to pay for various expenses, from paying off credit cards to home renovations. Change to conventional loan – FHA mortgage loans are good products but current law requires mortgage insurance regardless of your equity stake in the property. FHA refinance loans remain very popular in many circles. Many people do not want to pay for mortgage insurance after they have 20% equity, so they refinance. What Are the Downsides of Refinancing Your Mortgage in 2018? A mortgage refinance loan will cost several thousand dollars. Some of those costs can be often rolled into the loan. You still can end up saving money each month, but those costs do add up. Some people do a cash-out mortgage to pay for a major expense, such as a car or paying off debt. But without financial discipline, you can end up with a higher mortgage amount AND credit card debt again. Another issue with a refinance and pulling out cash is that you may be decreasing your monthly payment. But you have increased the total amount of debt that you have to pay over the life of the loan. Cash out refinances can be especially risky given that you are adding to the amount of debt you owe. Without financial discipline, you can end up in a position where your home is at risk of foreclosure. A simple refinance into a lower rate – called a rate and term refinance – is more straightforward and less risky. With the HARP program eligible borrowers can still receive a 100% refinance. This program requires no minimum loan to value, so it is very appealing to homeowners that are currently stuck in an underwater mortgage. Find out why you want to refinance: Do you want a lower rate, lower payment, and/or pull out cash? Are the rates now much lower than when you got your loan? If they are not at least .5% lower, it might not make sense to refinance. Collect your financial documents: All cash out refinances require full documentation of credit and income, just like your original loan process. If you are doing an FHA streamline, you generally do not need to have your income and credit verified. Conventional rate and term refinances will generally require income and credit verification. Get your credit score: Check your credit rating and see how high your score is. You want to have a 700 or higher score to get the best rates. Otherwise a refinance may not make financial sense. Find out what your home is worth: See how much homes like yours in your area have sold for in the last year. If you want to pull out cash, the value of your home is critical. Look for the best rate: Different lenders have very different rates. Mortgage-refinance rates can be higher than initial purchase rates, in some instances. Know what the costs are: All new loans cost you. Check what all the fees are so you know if it really makes sense to refinance. If you plan to sell your home in three years, it might make sense to not refinance. Lock your rate: Depending upon the interest rate environment, you may want to lock your rate for 30 days. Saving Money with Lowering Monthly Payments is the Primary Goal When Mortgage Refinancing in 2018. Why Is It Time to Refinance with the FHA Streamline Program? Homeowners who have a mortgage insured by the FHA with a higher interest rate than then current market rates have a great option that they may not know about. It is called the FHA streamline program. This Streamline Mortgage Refinance program is an excellent way to refinance your FHA lien at a lower interest rate. If you are interested in dropping your interest rate fast and easy with minimal headache, this great program from FHA could be the one for you. Why Is the FHA Streamline Is Such a Popular Mortgage Refinance Program? Let’s say that you have an FHA mortgage that you have been paying faithfully since 2008. The rates at that time were generally in the 5% or higher range. As of June 2017, rates for FHA mortgage are often under 4%. If you can save at least ¾% off of your current rate, it may be a good idea to do an FHA streamline refinance. The streamline mortgage refinance is only for people that want to lower their rate; you cannot pull cash out of your home with this option. But the FHA streamline refinance is one of the best, most simple ways in the mortgage industry to lower your payment fast. You do not need a new appraisal. With a standard refi, you need to order a new appraisal, which costs $400 and takes a few weeks to get done. If the home does not appraise at or above a certain value, you may not be able to refinance at all. With the FHA streamline option, you can use your appraisal from when you bought the home. Homes that are underwater (owe more than the home is worth) are eligible. As long as you are paying on time on your mortgage, owning a home where you owe more on the mortgage than it is worth is not usually a problem. No New Credit Check. You do not need to have your FICO scores checked. So, if your credit score has dropped since you bought your home, this will not present a problem. A regular refinance requires a new credit check. No further documentation of income is needed. You do not need to provide your W2s, paystubs or bank statements. With a regular refinance, you have to show that you still have the income to be able to afford the new mortgage. Very Low Mortgage Refinance Rates. According to Zillow, Current streamline rates for a 30-year fixed are under 4%. This can be a great deal for people who got an FHA loan years ago. Much faster closing than a regular refinance. Without a new appraisal, credit and income checks, the FHA Streamline Refi may be able to close in two or three weeks. So, you can start to enjoy that lower payment quickly! A rate and term refinance or a new mortgage to receive cash back can be a great way to lower your rate, and to get the cash you need for a major purchase. Review our guidelines above so you can decide if a refinance makes sense for you. 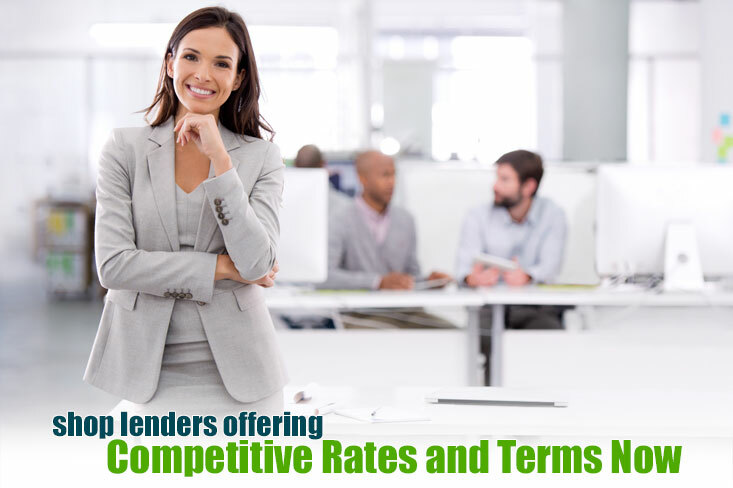 Talk to Multiple Mortgage Refinance Lenders that Offer Competitive Interest Rates and Terms. Refinancing the mortgage on your home is something that a lot of people consider. But many of them actually never do it. If you have been thinking about home refinancing, below are the best ways to get it done easy. Mortgage rates as of September 2017 are nearly as low as they have ever been. A borrower with good credit today can get a 30 year loan for well under 4%. Historically speaking, this is an incredible bargain. It is recommended to take advantage of these rates; if Congress passes tax reform or tax cuts in the next year, odds are high that rates will go up. Another reason to not procrastinate is if you are holding a higher interest rate from years ago, you really could save a lot on your mortgage payment. If you can refinance your mortgage to be ¾ of a point less, you can save several hundred dollars per month on your mortgage payment. When people buy their home, it is common to run up credit card bills to buy things they want on their home. A certain amount of this is ok, but you should not regularly carry thousands of dollars of credit card debt. You are paying high interest, and it also drives down your credit score. The higher your score, the easier it will be to qualify for the best mortgage rates on your refinance. 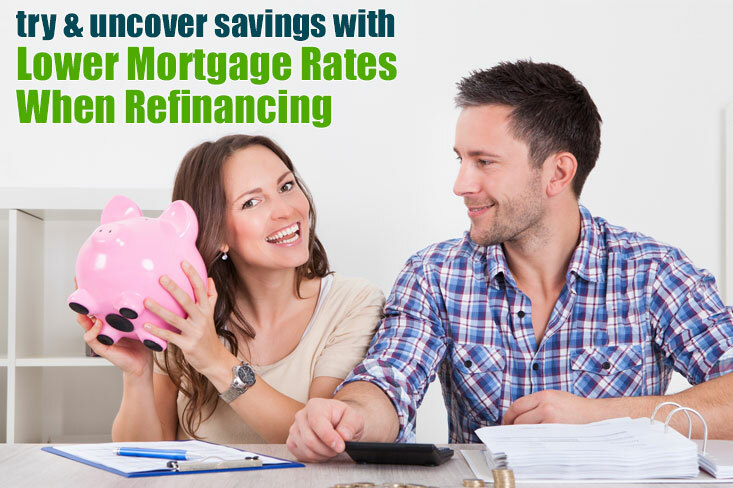 Many home owners decide to refinance with a conventional or FHA mortgage refinancing. Conventional loans are best for people with higher credit scores and have substantial equity. FHA refinancing may be the better bet for people with lower credit scores and less equity. FHA programs do have higher mortgage insurance costs, but you still can get a very low interest rate. Some Americans want to enjoy having no mortgage well before their elder years. The low interest rate environment we are in this year could make it a good time to move into a 15 or 20 year mortgage. You should make sure that you can really make those higher payments in the coming years. But if you can, you will save many years of interest payments. Mortgage refinance rates are quite low in 2017. But it is still advisable to look around for the best deal. 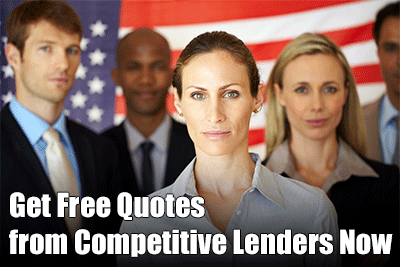 We recommend that you obtain mortgage interest rate quotes from three lenders at minimum. Don’t stop with just the interest rate either. You should also see what the fees and closing costs are and compare them. Search for lenders who have a strong reputation for closing loans on time, as well as good customer service. It is hard for us to understand, but far too many people approved for a new home loan or a refinance torpedo the deal by running up debt. Make no mistake: Just before closing, the lender is going to run your credit again. They want to see that you have not gotten new credit lines, and/or run up your credit cards. Far too many refinances have been scuttled because people could not resist the temptation to buy stuff on credit. The refinance process does not take as long as buying a home and getting a first mortgage. But there are several things that can delay the closing on your refinance. Do your part by providing everything that your lender asks for within 24 hours. There usually are last minute requests from the lender that have something to do with your income or debt. Provide those documents fast as well. If a loan gets delayed too long, the rate lock can expire and that can create more problems. It helps during the closing process if you have a lender who communicates well with you. If he needs something from you, he should let you know right away. To ensure you have a good communicator for a broker, carefully watch how well he communicates with you early on before you choose a lender. If he communicates with you often by email and phone from the start, this is a good sign. If you have a very low rate on your first around 4%, you may want to think about leaving that first loan in place and apply for a second mortgage. Instead of refinancing a lien that already has a favorable interest rate, consider getting a HELOC or a home equity loan. Refinancing your mortgage today can be a very smart move. Interest rates are very low, and lenders are getting more lenient on approving loans. Follow our tips above so that you can make your refinance easy.